“What do you do?” is a common opening gambit when chatting with strangers. As you can imagine, “immersive touch therapy” is a response that garners lots of quizzical looks, curious questions, nervous laughter…and tons of great conversation. Over the past three years, I have come to realize that we don’t think much about the first sense humans develop, and its role in how we interact with each other. Oftentimes, people will tell me how long it’s been since they’ve been hugged, or how their now-grown children no longer snuggle up with them, or that the thing they miss most about their ex is sleeping in the same bed. At some point, I might ask them if they would like a hug. Because connecting with another human being through physical contact does feel good. Duh. If you don’t want to be touched, it won’t feel good. Period. My Grand Plan is to get people to rethink touch: who, what, where, when, how and why? Our biology has wired us for physical connection, and yet, what that looks like for each of us varies wildly. Consent is the fulcrum around which human interactions pivot. Whether a relationship lasts a lifetime or a moment, it must be based on respect, kindness and common desires. While bodies operate in a similar fashion – they need food, water, air, rest, evacuation and movement in order to function – their nervous systems, personal preferences, culture, upbringing, and injuries (physical, mental and emotional) make them highly individualistic in what they like…and what they can tolerate. We tolerate a lot of displeasure and discomfort in our daily lives. Some of it is necessary – standing in line at the grocery store or getting a tattoo, for instance. Much of it is unavoidable. But when it comes to having somebody touch us or hold us for comfort or connection, the conscious yes is the most important part of the process. Our bodies don’t lie to us about whether or not they feel safe. When we make physical contact with someone in a way that feels threatening or overwhelming, we tense up and check out. Why put ourselves – or others – through that? Last time I checked, we had enough stressors to deal with. Asking before touching somebody you don’t know well takes only a moment. Touching somebody without asking can have lasting consequences. It’s always okay to ask, and it’s always okay to say no. Rejection is not the end of the world, or even the end of the relationship. A boundary can mean not right now, not that activity, not with you. Respecting said boundary is the important thing, and easier to do if we don’t take it personally. As my friend Francesca Gentille wisely says, a boundary is for me, not against you. Some people can’t get enough of touch. They hug their friends, classmates and family members like it’s going out of style. On the other end of that continuum are people who, for whatever reason, do not like to be touched. They stick out their hands for a handshake when a colleague comes in for a hug, and cringe when friends hug them. There is no right or wrong way to handle hugging and giving/receiving touch. Having agency over our bodies is a simple and powerful thing. Making choices about who we want to get closer to provides us with better capacity to care for ourselves and trust our instincts. If you want more touch in your life, you are going to have to ask for it. It will be weird (as is any sort of interaction that isn’t socially scripted with well-defined roles) and people might say no to you. Sometimes you might have to pay for it if you don’t have other options. But it is your responsibility to ask for what you need. If you don’t want to be touched, you deserve to have your preferences respected without being coerced or having to explain what you want or need. This, too, will be weird (often people get focused on what they want and don’t stop to think that the other person may not want the same thing), and people may get offended when you say no. But it is your responsibility to ask for what you need. For all of humanity’s existence, touch has been necessary for our survival. 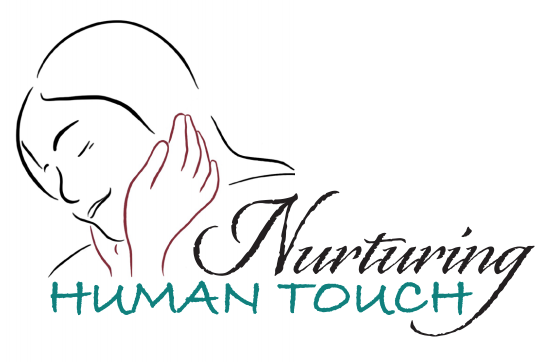 Touch is still necessary for our survival; it is how we care for our young. With consent, touch could help us thrive. I see a world where we can give and receive touch from each other for wellness, comfort, safety, relaxation, happiness, connection and pleasure. I want to live on a planet where we reach out to each other with care, kindness and trust, where we realize that we need to turn toward our fellow humans if we want to evolve.